Mariaestela in Sacred Conversation with Layla Saad. 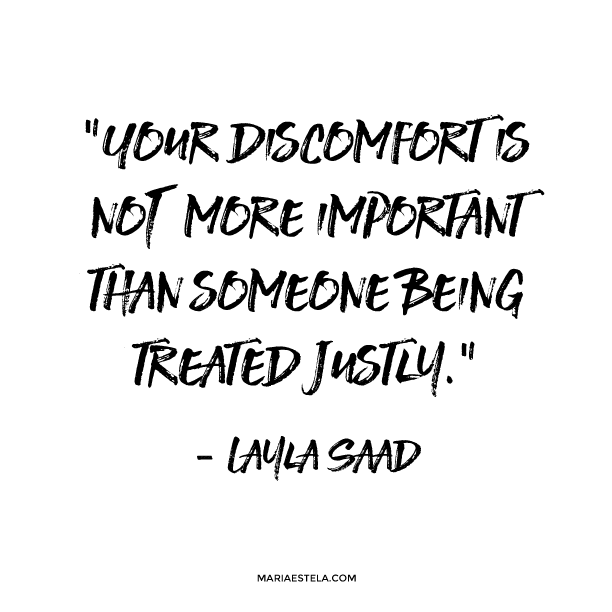 When Layla and I came together for our Sacred Conversation one Tuesday afternoon we had originally intended for our conversation to be about Layla’s unveiling as a black muslim woman. However in the weekend before our recording white supremacists, neo-nazists and KKK marched openly in Charlottesville, Virginia. This sparked Layla to write a profound temple letter called “I need to talk to spiritual white women about white supremacy” – a letter that, if you haven’t already, I highly encourage you to read. You can find it here. 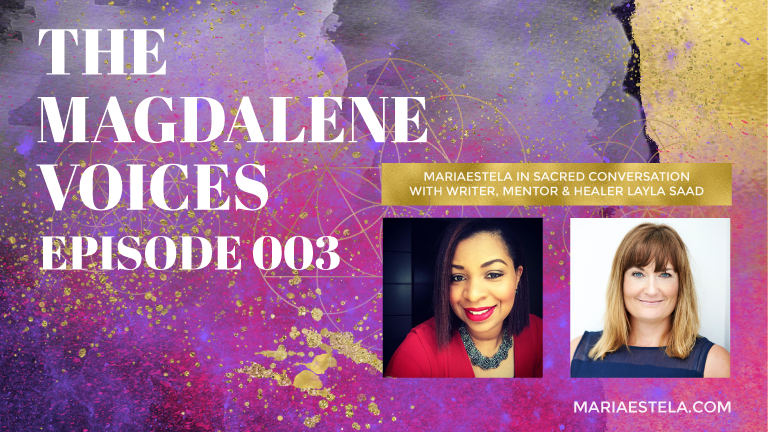 Feeling as though we’d been brought together for a higher purpose Layla and I decided to dive into the topic of White supremacy, patriarchy, racism and the Divine Feminine. As you will see and hear our conversation is open, raw and real. It may bring up guilt, shame, fear and blame – I know it did for me. So before you listen or watch I want to remind you that it is far easier to criticise, judge and project outwards than it is to truly sit with whatever arises within however dark it may be. It is however why you are here and I welcome you. “Through you this world will change” says A Course in Miracles. What that means is for you to shine a light on and heal what comes. Especially all of those uncomfortable, uneasy feelings. This is the true work of a master. Layla and I are, in this episode, not negating that you may have had it very rough, come from a troubled background or have had to overcome seemingly insurmountable obstacles, however if you’ve been fortunate enough to have been born white then you haven’t had to teach your sons how to behave in order to avoid being killed by the police, you don’t have to add an extra 20-30 minutes of travel time to a meeting just in case you get pulled over for the millionth time for no apparent reason, nor have you experienced having your resume discarded simply because of your name. It is important that those of us who are born white finally acknowledges that not only is patriarchy and white supremacy real but also what it has put in place, because only in doing so are we able to finally begin creating a world that is for all. The role of white women in dismantling white supremacy. Layla’s personal unveiling and journey. How modern society lack purposely putting young people through initiations. How we create initiations for ourselves. How healing her Mother wound was key for Layla and lead to discovery about divine feminine and women’s spirituality. How dark nights of the soul are not a fix but wisdom. How the current unveiling of white supremacy is much more of a surprise for white people then for people of color. How the systems allowing white supremacy, racism and patriarchy has been in place forever. Why inner work is instrumental and important for the outer work needed. The fear of doing is wrong. What role the Divine Feminine plays in this. Why building inner resilience, courage and fierceness is important. Why now is not the time to let yourself be overwhelmed with doubt and shame, worrying about you having been complicit with your silence. Layla’s journey within her religion. 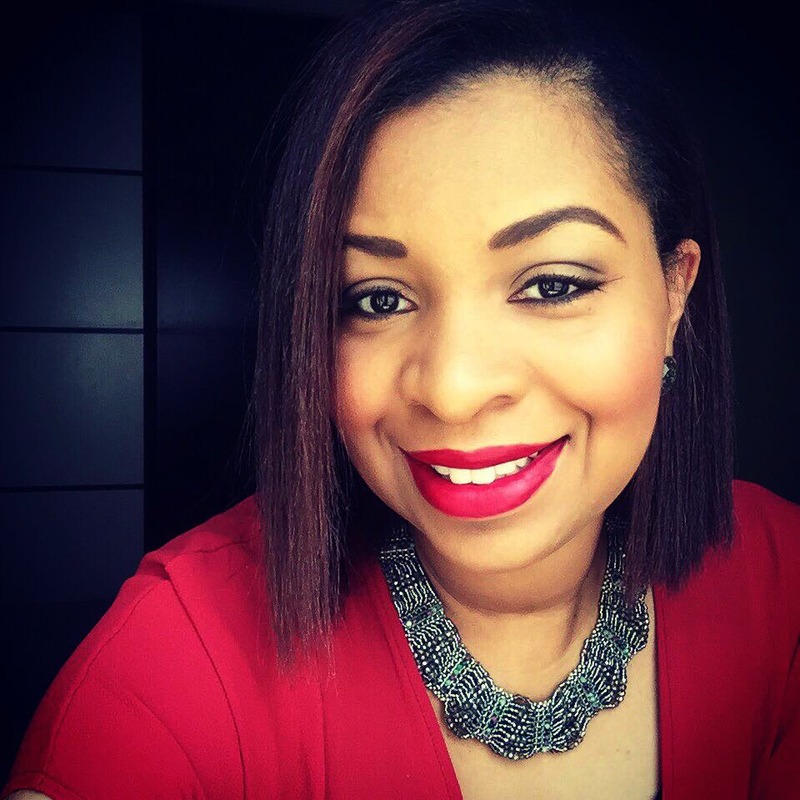 In this episode you’ll hear us talk about Layla’s blog post “Why those ‘6 figure’ business coaches are failing you” that went viral in April 2016 as well as Layla’s Temple Letter “I need to talk to spiritual white women about white supremacy”. Both of these are a very powerful read. You’ll hear Layla mention a Polish woman who helped smuggle out thousands of Jewish children from the Warsaw Ghetto during World War II – a woman I mistakenly thought was a plumber. Her name was Irene Sendler and you can read her story on Wikipedia here. Layla mentions Soulcraft by Bill Plotkin which you can find here. Layla Saad is a writer, mentor & healer for women doing their soulwork and their soul’s work. Through her work, she helps women to more fully express and embody their Truth – both in their personal lives and their businesses. Layla’s work explores womanhood, spirituality, creativity, business, personal power and sacred activism. Layla’s clients are women who crave a deeper connection to both their own soul and the soul of their business. 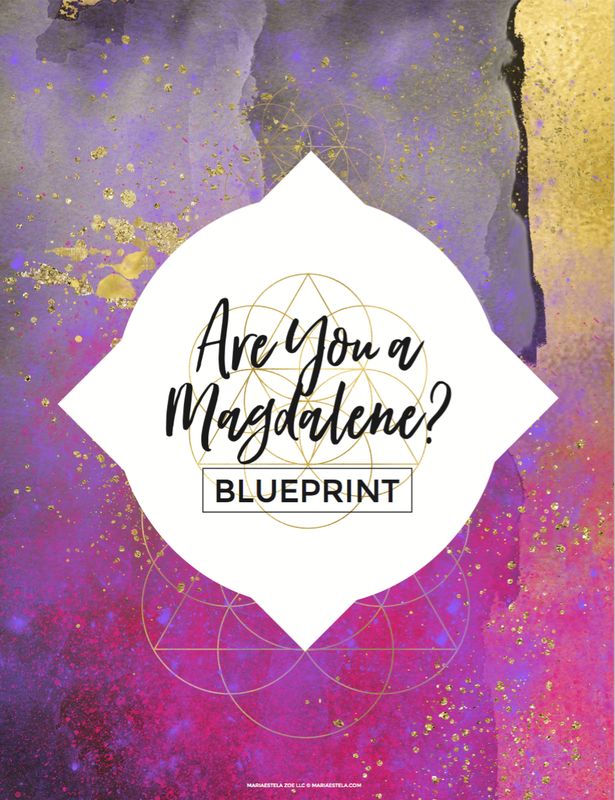 She combines soulwork tools such as Divine Feminine archetypes, menstrual & lunar cycles, mystic poetry, tarot & oracle cards, ritual, shadowwork, sisterhood and energy healing, with her experience as a coach, writer and speaker to help women live and lead as the most powerful expression of their truest selves. Layla is deeply devoted to Truth, the Heroine’s Journey, Divine Feminine spirituality, words as medicine and our individual and collective healing. Layla is currently writing her first book which explores the intersections of spirituality, feminism, social justice, sacred activism, conscious business and the leadership she believes more spiritual white women need to step into at this time in history. If you would like to support Layla as she brings her awakening words to life you can do so by become a patron on Patreon here.